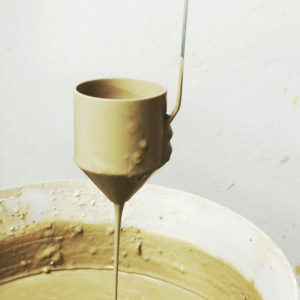 Slipcasting in plaster molds is a technique that allows to obtain repetitive works using liquefied ceramic mass, called slip. It is used in mass production and when other techniques are inapplicable. 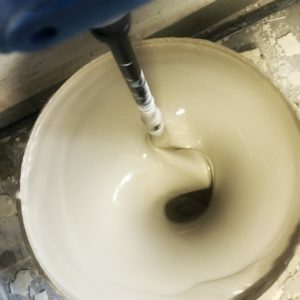 The key to success in slipcasting are properly prepared slip and plaster form. The slip has to have appropriate properties to properly behave in the mold. The workshop is a single meeting dedicated to those who what to learn this technique and be able to use it in their own studios. The technique of slipcasting is unavailable in our regular workshops. If you wish to work using this technique but you don’t have enough space you can rent some space in our studio. The cost of 2-3 h lesson in English is 350 zł/pers. The price includes materials and bisque firing. The classes are for 1-2 persons. It’s recommended to take a change of clothes and shoes as well as something to take notes.